It is the largest grant ever given to a volunteer service organization and represents a tremendous validation of the approach and success of our PolioPlus program. The RI Board of Directors and The Rotary Foundation Trustees have unanimously agreed to accept this challenge grant at a critical juncture for the polio eradication initiative, which needs an infusion of funds to reach the eradication goal. 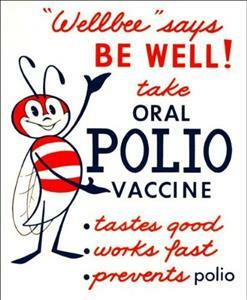 For this reason, the initial $100 million will be distributed by The Rotary Foundation through grants to the World Health Organization and UNICEF in direct support of polio immunization activities in 2008. Rotary has committed to raising $100 million of new funds over a three-year period beginning 1 January 2008. Rotary's new PolioPlus fundraising effort will be formally launched 1 July 2008 and be completed 31 December 2010. As of the Rotary International Conference, Rotarians have raised over $20 million for matching grants.